This silver cover will give you much better look of interior of your HONDA. It is made of high quality stainless steel cut by laser. LAND ROVER. RANGE ROVER. HANDCRAFTED WITH TOP GRAIN LEATHER. THIS COVER WILL FIT ROVER 75 FROM 1998 - 2005. ROVER 75 1998 - 2005. Motorcycle seat strap cover. 100 % Italian leather. Instructions and accessories ( THREAD AND NEEDLE ) included. This silver cover will give you much better look of interior of your Range Rover. From other side of the cover is stick belt.Very easy installation.Just put it on. It is made of high quality stainless steel cut by laser. FITS ROVER 75 MANUAL. And what you will receive is only the leather part. 2 doorRange Rover Ratio Lever Knob. Unused restoration part for my 2 door. ROVER 75 manual 1999-2005 only. And what you will receive is only the leather part. Black leather with black stitching. RANGE ROVER. LAND ROVER. VERY HIGH QUALITY CUSTOM MADE FITS PERFECT LIKE A GLOVE HANDCRAFTED WITH TOP GRAIN LEATHER. THIS COVER WILL FIT ROVER 75 FROM 1998 - 2005. ROVER 75 1998 - 2005. Motorcycle seat strap cover. ROVER 200 1996 TO 1999 OR ROVER 25 2000 TO 2002. Black leather with black stitching. ROVER 75 only. And what you will receive is only the leather part. Black leather with black stitching. LAND ROVER. RANGE ROVER. 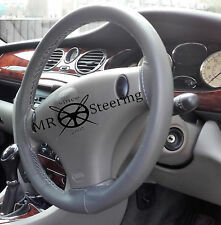 ROVER 45 (MG ZS) 1999-2005 (Non Sport Steering Wheel). VERY HIGH QUALITY CUSTOM MADE FITS PERFECT LIKE A GLOVE HANDCRAFTED WITH TOP GRAIN LEATHER. THIS COVER WILL FIT ROVER 45 and MG ZS. Range Rover P38. Removed from our 2001 Range Rover 4.0 V8 HSE. Scuff Plates. ROVER 200 25 MG ZR 95-05. black leather red stitching. ROVER 75 & MG ZT 1999-2005. And what you will receive is only the leather part. Black leather with blue stitching. LAND ROVER. RANGE ROVER. VERY HIGH QUALITY CUSTOM MADE FITS PERFECT LIKE A GLOVE HANDCRAFTED WITH TOP GRAIN LEATHER. THIS COVER WILL FIT ROVER 45 and MG ZS FROM 1999-2005. ROVER 45 (MG ZS) 1999-2005. And what you will receive is only the leather part. ROVER 75 AUTOMATIC. Black leather with black stitching. ROVER 75 & MG ZT 1999-2005. And what you will receive is only the leather part. Black leather with grey stitching. This listing is for a car set of four black door Cards with black stitching, suitable for the whole P6 range from 1963 to 1977. They have been manufactured using a laser cutter to ensure quality and accuracy and are an excellent fit. Made with 3mm hardboard, 3mm scrim foam and vinyl with the same pattern as originals. The stitching follows the same angle as original (falling away to the rear of the car) unlike some other reproductions. RANGE ROVER. LAND ROVER. BLACK PERFORATED LEATHER BLACK STITCHING. VERY HIGH QUALITY CUSTOM MADE FITS PERFECT LIKE A GLOVE HANDCRAFTED WITH TOP GRAIN LEATHER. THIS COVER WILL FIT ROVER 75 FROM 1998 - 2005. 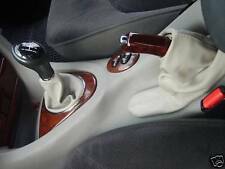 Rover 75 Leather Gear Knob Genuine - good overall condition. Part number VPLSS0143PVJ. 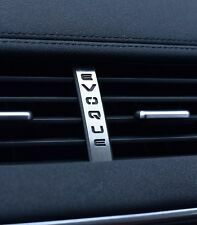 Evoque to vin GH999999. Range Rover Sport 2010-2013. LAND ROVER. RANGE ROVER. Motorcycle seat strap cover. 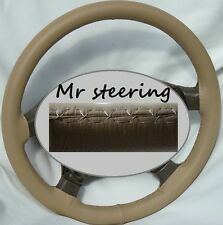 ROVER 45 (MG ZS) 1999-2005 (Non Sport Steering Wheel). VERY HIGH QUALITY CUSTOM MADE FITS PERFECT LIKE A GLOVE HANDCRAFTED WITH TOP GRAIN LEATHER. THIS IS A LEATHER GEAR KNOB WITH THE CLASSIC COOPER EMBLEM SET IN THE CENTRE. LEATHER GEAR KNOB. FOR CLASSIC MINI. IT WILL NOT FIT A BMW MINI. Rover 827 (1986-1999). (Removed from a 1989 Rover 827si Auto 5 Door Hatch). Changed your mind?. Complete Seat Set. LAND ROVER. RANGE ROVER. BEIGE LEATHER WITH GREEN STITCHING. HANDCRAFTED WITH TOP GRAIN LEATHER. ROVER 75 1998 - 2005. ROVER 75 FROM 1998 - 2005. Motorcycle seat strap cover. 100 % Italian leather. LAND ROVER. RANGE ROVER. HANDCRAFTED WITH TOP GRAIN LEATHER. ROVER 75 1998 - 2005. ROVER 75 FROM 1998 - 2005. Motorcycle seat strap cover. 100 % Italian leather. BEIGE LEATHER WITH BEIGE STITCHING. Roof lamp in cool grey for the rover 800 saloon mode. PARSON DROVE. MARSHALLS BANK. B HIVE BITZZZZ LTD.
ROVER 25 MG ZR 200 4 -200 6. Black leather with red stitching. And what you will receive is only the leather part. Lockwood Silver Dials. ~ Use the image to make sure that this dial kit is suitable for your vehicle. These dials are for all models with a rev counter going up to 8000 RPM. You will receive the dials below but in SILVER. THIS COVER WILL FIT ROVER CITYROVER FROM 2003-2006. ROVER CITYROVER 2003-2006. LAND ROVER. RANGE ROVER. VERY HIGH QUALITY CUSTOM MADE FITS PERFECT LIKE A GLOVE HANDCRAFTED WITH TOP GRAIN LEATHER. ROVER 800/820/825/827 vitesse 1992 TO 1999. And what you will receive is only the leather part. black leather black stitch. RANGE ROVER. LAND ROVER. Motorcycle seat strap cover. VERY HIGH QUALITY CUSTOM MADE FITS PERFECT LIKE A GLOVE HANDCRAFTED WITH TOP GRAIN LEATHER. THIS COVER WILL FIT ROVER 75 FROM 1998 - 2005. ROVER 75 1998 - 2005. ALL ROVER 400. - MADE FOR ROVER 400, NOT UNIVERSAL. 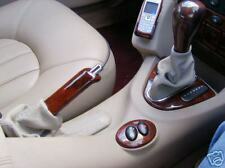 THIS ARM REST COVER MADE BY AUTOMOTIVE LEATHER SPECIALIST AND IT WILL FITT JUST PERFECT AS THE PICTURE SHOWN. - REAL ITALIAN LEATHER. THIS COVER WILL FIT ROVER P4 SERIES (ROVER 75, 60, 90, 105, 80, 100, 95 and 110) FROM 1949 - 1964. ROVER P4 SERIES 1949 - 1964. LAND ROVER. RANGE ROVER. Motorcycle seat strap cover. VERY HIGH QUALITY CUSTOM MADE FITS PERFECT LIKE A GLOVE HANDCRAFTED WITH TOP GRAIN LEATHER. THIS COVER WILL FIT ROVER P6 SERIES I and II (2000 / 2200 / 3500). ROVER P6 SERIES 1963 - 1977. ROVER 25 MG ZR 200 4 -200 6. Black leather with yellow stitching. And what you will receive is only the leather part. CLASSIC MINI BLACK LEATHER GEAR KNOB WITH MINI EMBLEM AUSTIN,MORRIS,ROVER,. THIS IS A BLACK LEATHER GEAR KNOB WITH THE CLASSIC MINI EMBLEM SET IN THE CENTRE. 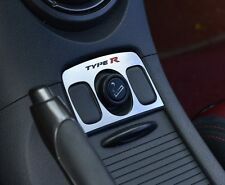 BLACK LEATHER GEAR KNOB. FOR CLASSIC MINI. THIS GAITER CAN ADD NICE LOOK IN YOUR CAR AND MAKE IT LOOK NEW AGINE. - CHANGE YOUR OLD GAITER WITH THE REAL LEATHER, GOOD LOOKING AND LONG LIFE. - MADE FOR ROVER 75 NOT UNIVERSAL. EASY TO FIT THIS GAITER WILL SLIDE OVER YOUR HANDBRAKE. - CHANGE YOUR VINYL OLD GAITER WITH THE REAL LEATHER, GOOD LOOKING AND LONG LIFE. -100% REAL ITALIAN LEATHER. LAND ROVER. STANDARD VANGUARD. THIS COVER WILL FIT ROVER MINI MARK VI, VII and COOPER S FROM 1989-2000 NOT SUITABLE FOR SPORT STEERING WHEEL. And what you will receive is only the leather part. ROVER 75 only. Black leather with black stitching. LAND ROVER. RANGE ROVER. THIS COVER WILL FIT ROVER MINI MARK VI, VII and COOPER S FROM 1989-2000 NOT SUITABLE FOR SPORT STEERING WHEEL. FITS ROVER 400 1995-1999. black leather blue stitching.